14 comments on "You're Gonna Hear Me Roooarrr"
That cutie! I love his little outfit! SO cute!! 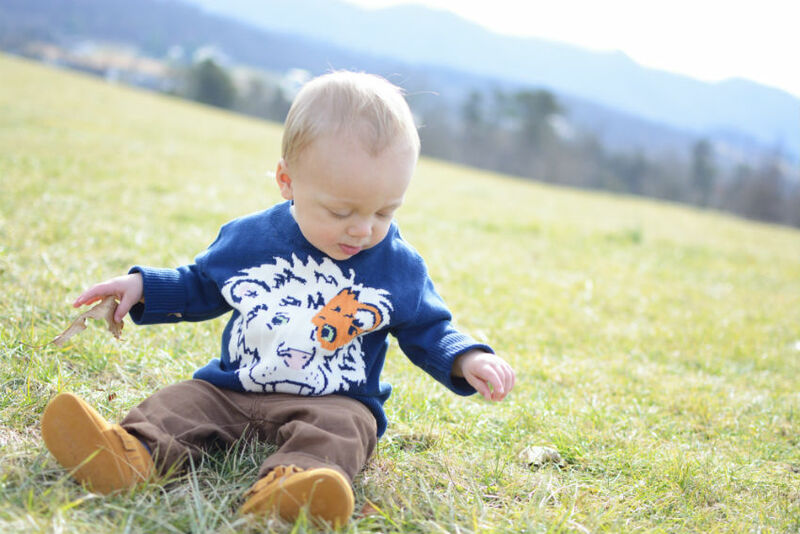 And I love the lion sweater! They grow so fast (especially in that first couple years). 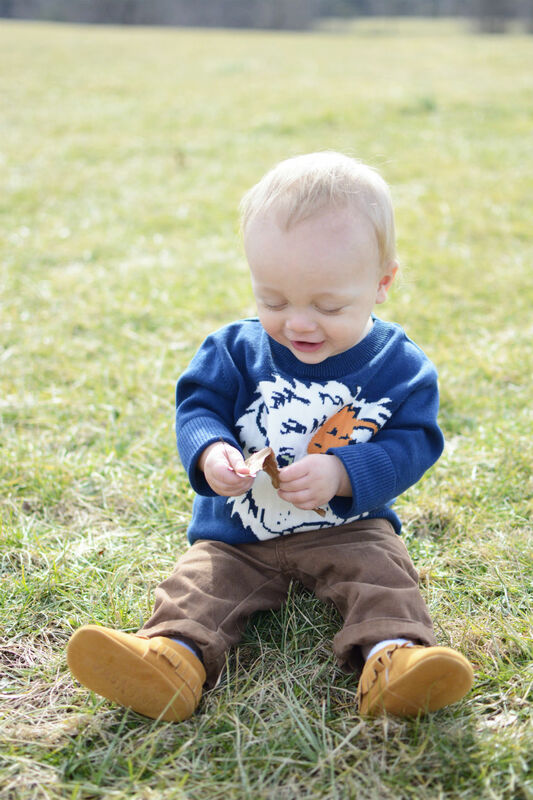 I feel like my nephew was just born, but now he's a toddler with a personality and so many words! It doesn't help that I live so far away. Every time I come home for a visit, he has changed so much! I can't imagine watching my own little one grow so fast! I think that is every Momma's wistful thought.. that we wished we knew what the last time was at that moment so we could savor it. I feel the same. 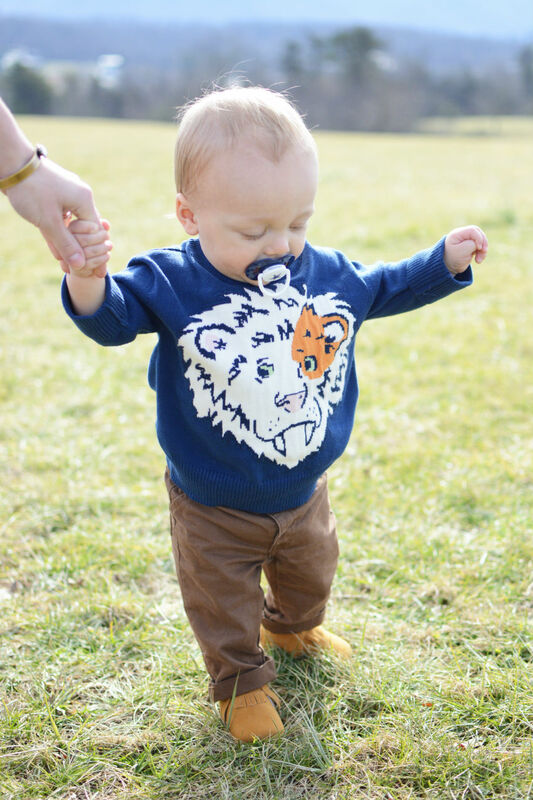 Love his little sweater, he looks so dashing! Awe, I can only imagine how you must be feeling with all these big milestones! BUT on the upside, just remember what a great job you're doing as his momma and getting him ready for all these new experiences in life - he couldn't do it without you! All those changes have got to be hard, you have every right to be emotional! Hugs!